Known as the “science of eight limbs”, Muay Thai fighters use arms, legs, knees and shins, and demonstrate great technical skill, flexibility, strength and stamina. Now popular the world over, people from all walks of life train in Muay Thai for various reasons only to discover a new passion and experience one of Thailand’s most iconic cultural traditions. 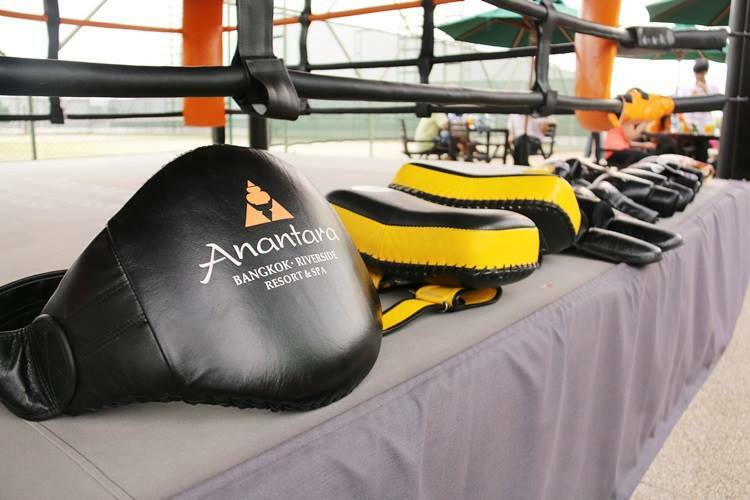 Situated on the top floor of Anantara Bangkok Riverside, the Muay Thai Academy takes place at the state of the art Muay Thai Boxing Ring and overlooks the serenity of the majestic Chao Phraya River. Each boxing student is fitted with expertly tied hand wraps and genuine Muay Thai gloves. Seasoned instructors provide motivational classes, teaching a range of Muay Thai moves comprising of jabs, hooks and swings, knee strikes, kicks and foot jabs. Each class lasts for 90 minutes so limber up and arrive with your fighting spirit at max. Programmes are available for both adults and children. Price for a beginner course starts at THB 650 per adult and THB 550 per child for a group session of 3 persons, THB 850 per person for a couple session and THB 1,550 per person for a private session. For advanced courses, the price starts at THB 3,250 per person, for a private session. For more information or reservations, call 02 476 0022 Ext. 1541-1542 or email [email protected].